Who’s ready for the long weekend? Start tomorrow’s day off on a sugary high, our treat! 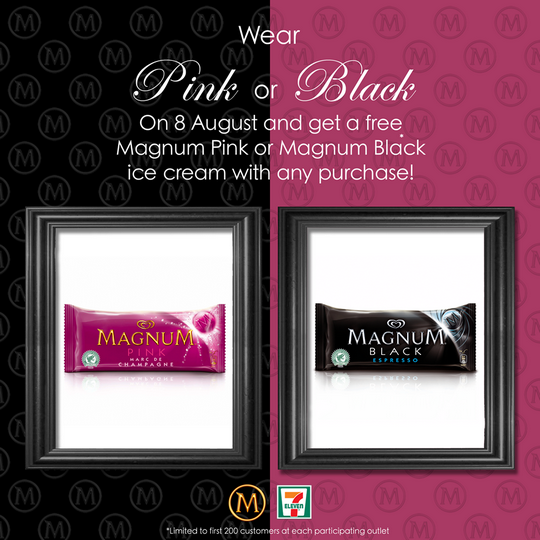 On 8 August, dress in your favourite pink or black clothing and drop by any of the 15 selected stores listed at http://on.fb.me/13iKzCk from 12pm – 5pm to get a free Magnum Pink or Black with any purchase.